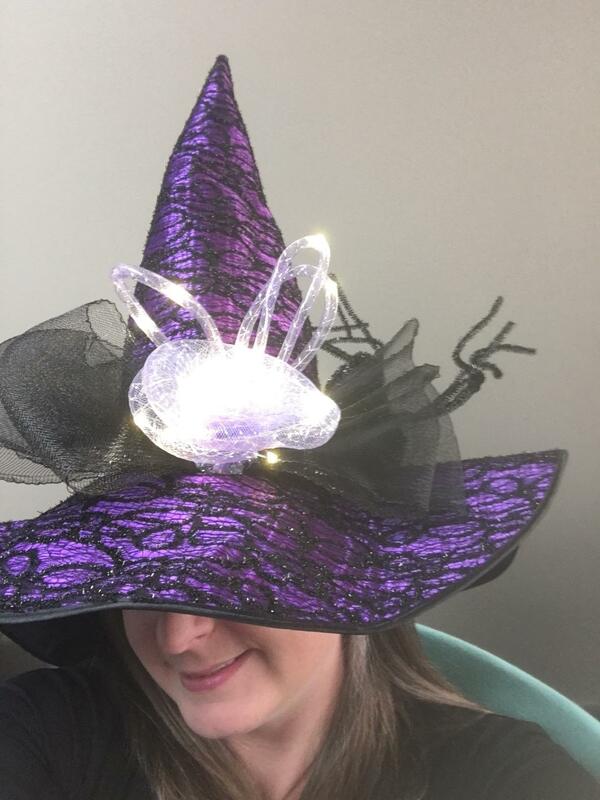 As we all know,the witch hat is one of the signature items of the halloween. Are you still worried about what accessories to wear for your halloween party? Here in our shop you will certainly find something that goes with your party perfectly. You will definitely find something that is suitable for you. Our hats are soft and comfortable. Neither will their color fade away. A perfect hat is imperative for a perfect party experience. The hat was a little large, but because I also was wearing a wig it worked out perfectly! Great quality and I received many complements. Great hat! I received tons of compliments. The lights on the hat made navigating for door knocking easy! Got the purple hat and it is great! Didn’t realize until I found a little black battery box that the flower actually lights up. Mine did not come in a pack of three but I expected that from reading description and reviews. I absolutely loved this witches hat! I bought it for a Witch's Ball and received many compliments. The hat is very well made and I expect it to last for many years. I bought this hat in orange and I was thrilled that I was the only person who had a hat in this color. Most of the hats were black or purple and the orange was really fun under the dim and dank Halloween lights. This is an amazing hat, great quality and fit! I’ve been getting so many compliments! This hat and a simple black dress is a very fun costume! !